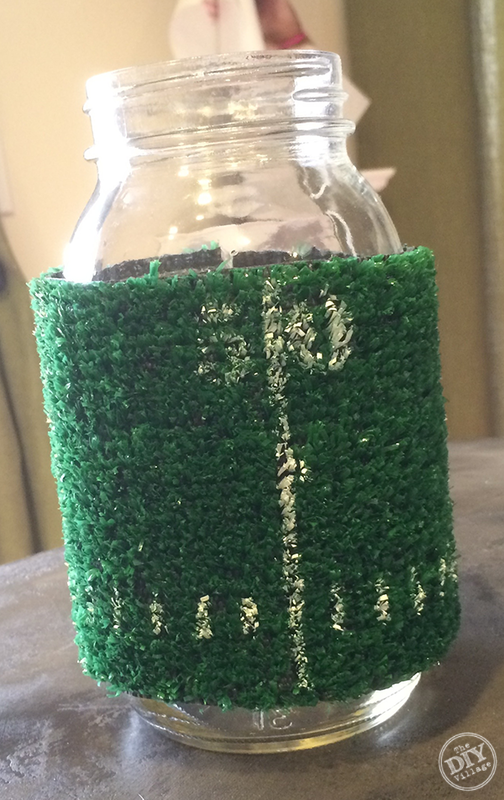 Football Mason Jars For Game Day! 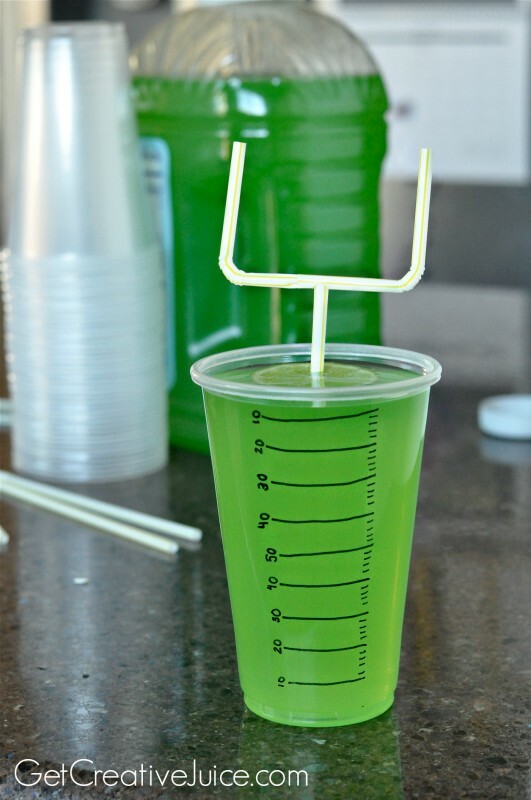 Lovelies, the Super Bowl is just around the corner and we to show you all sorts of lovely ideas and inspiration to have at your party! 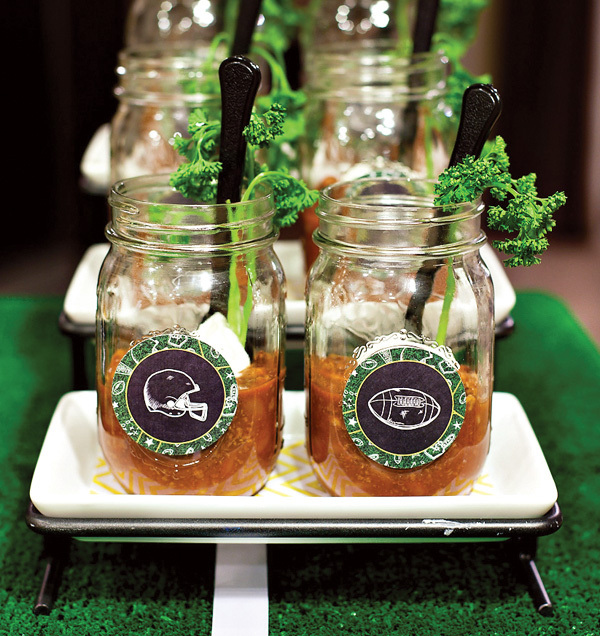 Today is all about football mason jars. 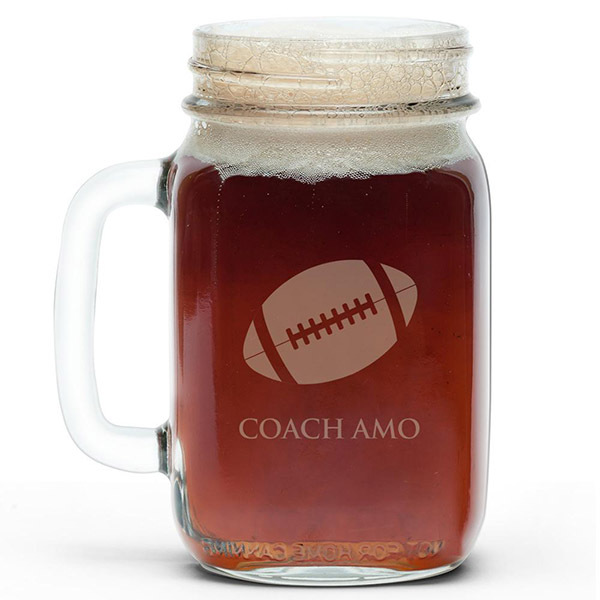 Betcha didn’t think mason jars have anything to do with football but we are here to prove you wrong. These little glass containers can be used for so many things in life celebrations all across the board but for football parties they make great drink containers, darling centerpieces and perfect jars for all types on snacks. Think of all those munchies you can put into mason jars. Popcorn, chex mix, pretzel rods, corn dogs, chili. 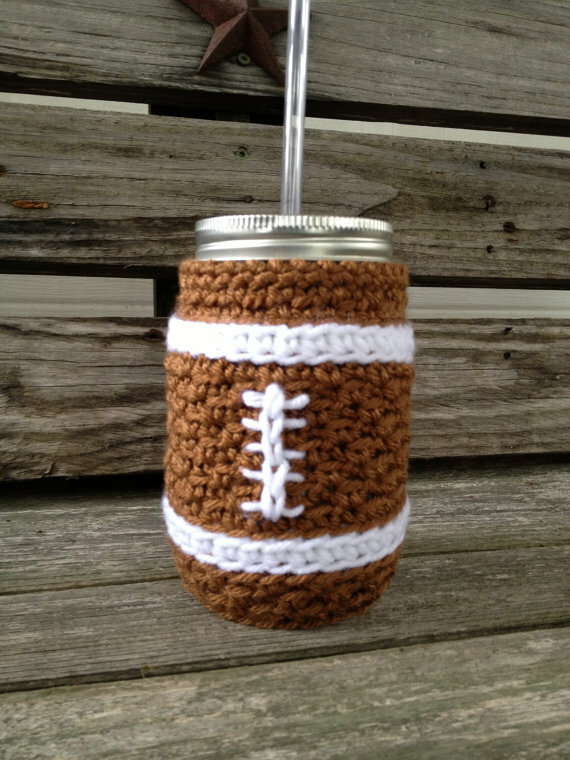 Pretty much anything would look amazing in a mason jar covered with a football field or even a football! Drinks are also a huge one. 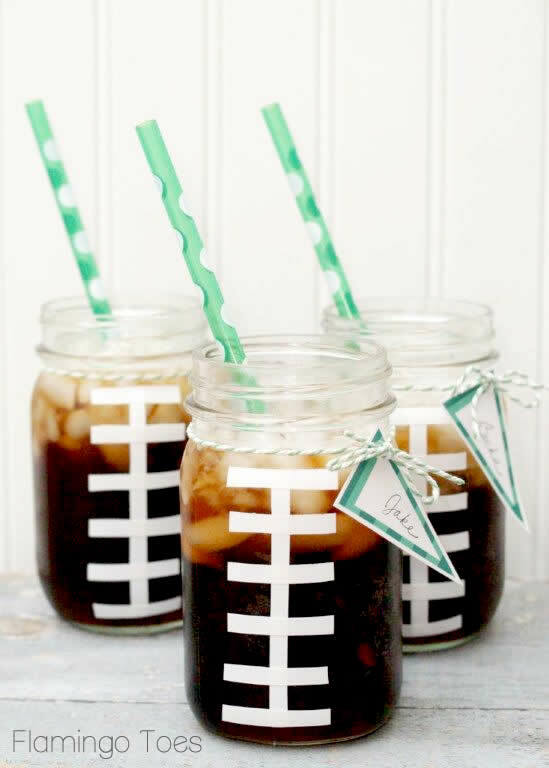 You will be amazed at all of the football mason jar drink ideas you can do that are totally DIY! 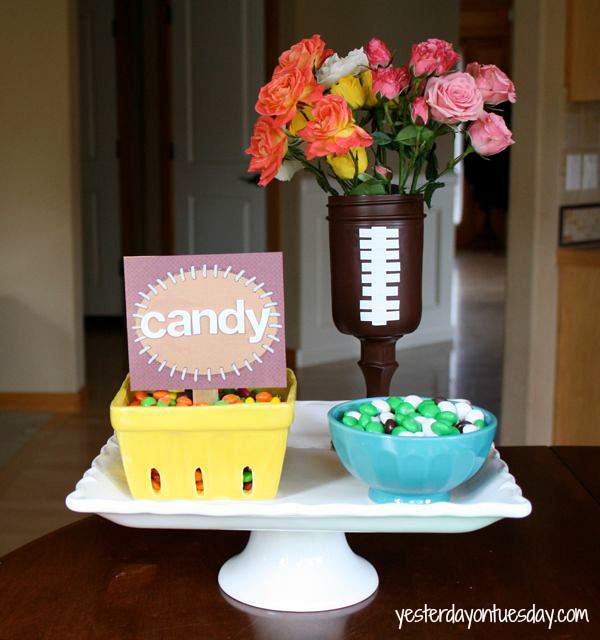 Let’s get to this fabulous game day inspiration because we are dying to show you. Tie Mason Jars! Fall Mason Jars! Create These Beautiful Fall Mason Jars In 5 Steps Or Less! Football Party Food!